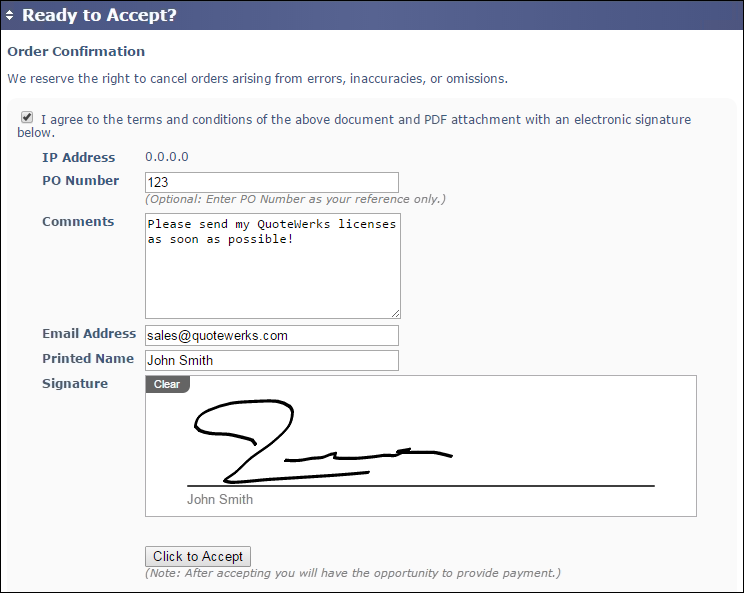 With QuoteWerks and QuoteValet, streamline your order process with electronic quote acceptance and signatures. Your customers electronically accept and sign proposals subject to the Acceptance Terms you specify. Once accepted, your customer can even immediately make payment. When the Quote is accepted, you’ll be notified immediately via e-mail or SMS. Receive SMS text notifications on your phone when large quotes are accepted! Learn more about QuoteValet and Electronic Signatures.